October has finally arrived, and plenty of tricks and treats await players of TERA on PlayStation 4 and Xbox One! 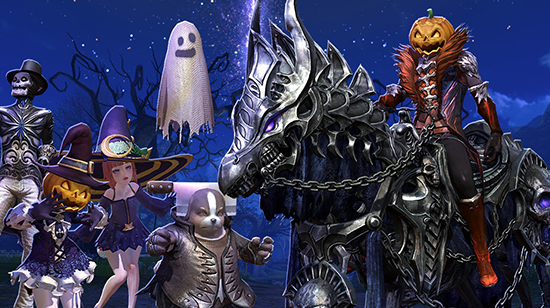 The spirit of Halloween haunts every town in TERA and players can participate in a special Halloween Festival Hall dungeon event. Defend the stash of sweets from marauding monsters and be rewarded with, what else, but candy of course! Reward candy can be used in the in-game shop to purchase various spooky masks and accessories, as well as two special prizes: the looting ghost Pet Boo and the Boneshaker ground mount, available only during the Halloween season! 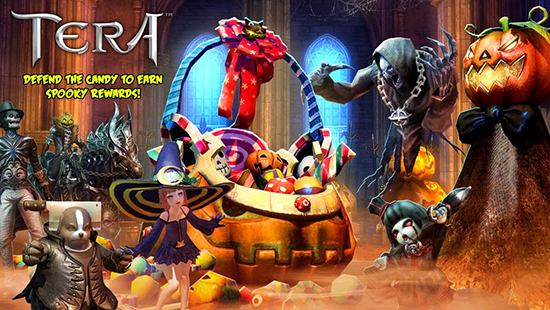 Get into the spooky spirit with TERA’s Halloween activities this month!